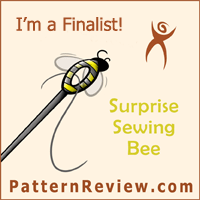 This entry was posted on Monday, June 8th, 2015 at 4:50 pm	and is filed under Sewing. You can follow any comments to this entry through the RSS 2.0 feed. You can leave a comment, or trackback from your own site. I do like your top…it’s…to me…carefree with beautiful colors for a summer day. Your yard is beautiful also!